Power Food this week is the delicious Tomato! 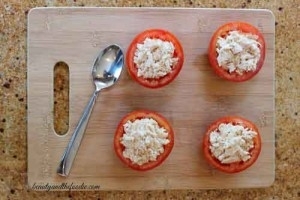 Slice them for sandwiches, toss them in salads, cook them into sauces or squeeze them for juice. Tomatoes are delicious and good for us, packed with vitamins A and C, calcium, potassium, and lycopene. Tomatoes are the fruit of the tomato plant. Because the tomato has seeds and grows from a flowering plant botanically it is classed as a fruit, not a vegetable. Tomatoes are the state vegetable of New Jersey. They are the official state fruit of Ohio and tomato juice is the official beverage of Ohio. However, Arkansas took both sides by stating the South Arkansas Vine Ripe Pink Tomato as the state fruit and state vegetable, due to its culinary and botanical classifications. Pretty much all tomato varieties are red although other colors are possible including green, yellow, orange, pink, black, brown, white, and purple. The tomato is eaten in many different ways, raw like a fruit, as an ingredient in many dishes, sauces, salsas, salads, processed into ketchup or tomato soup. Tomato juice is made as a drink and used in cocktails. Americans eat 22-24 pounds of tomatoes per person, per year. About half of that comes in the form of ketchup and tomato sauce. Tomatoes contain Vitamin A which enhances the body’s immunity against infections by increasing the lymphocytic responses against disease-causing antigens. It keeps the mucous membranes moist to ensure better immunity and also enhances the activity of white blood cells. It not only prevents the germs from entering your body but also helps to fight the infections once the germs gain entry into the body system, thereby ensuring a double core protection. Vitamin A can aid in improving vision. It enables your eyes to adjust to light changes, keeps the eyes moist, and also improves night vision. Vitamin A can prevent many conditions like dry eyes and night blindness by increasing the adaptability of the human eye to both bright light and darkness. It is also thought to be beneficial for people suffering from glaucoma. Now that spring is here and summer is soon approaching the tomato will be the staple of your diet. 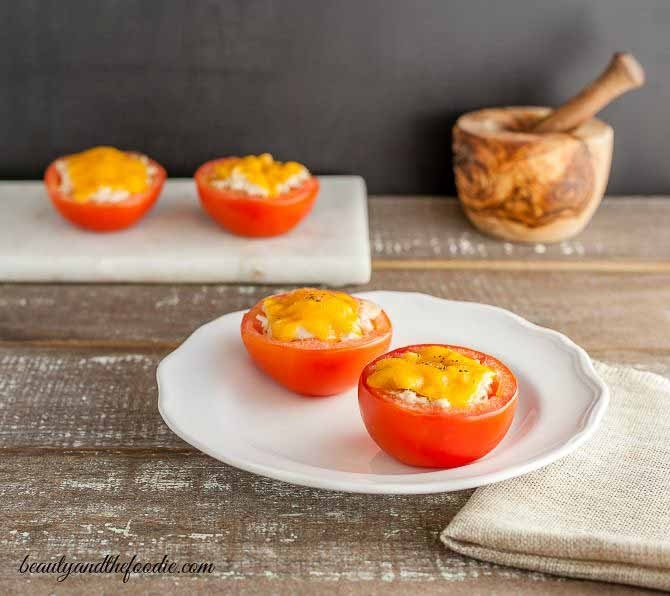 If you are looking for an after-school snack, or a healthy appetizer for a party, this recipe for Tuna Melt Stuffed Tomatoes can double as both! The best part, no baking involved! 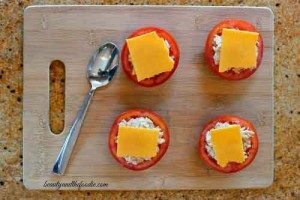 Follow this recipe from our friends at Beauty and The Foodie for your child and you to make this healthy meal!